Air (Allegretto)- An original collage on a vintage book cover from Mimi and Lucy. This one of a kind collage is hand made (by me!) 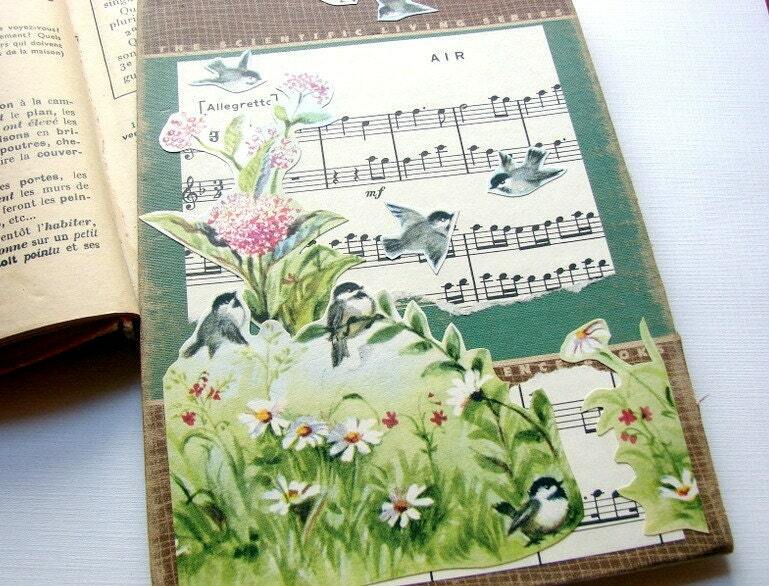 with a vintage book cover, vintage papers and illustrations cut from vintage books. Measures about 5 1/2 x 8".